Sichuan: Maerkang (Barkam) Xian. E of the city of Maerkang on road to Li Xian, then S on a dirt road to Maomuchu Cun. Along stream and adjacent slopes with remnant forests of Picea and Betula with Hippopha�, Rosa, Cotoneaster and Hypericum. 31°47'57"N, 102°28'57"E; 3165 m.
Edge of forest. 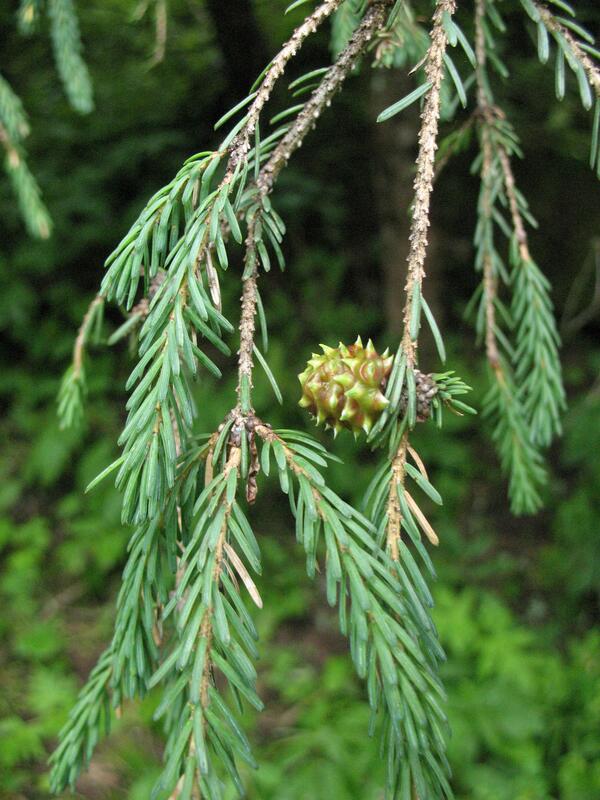 Tree 9-10 m tall; branches pendulous; young cones green, turning brown; persistent bracts green.